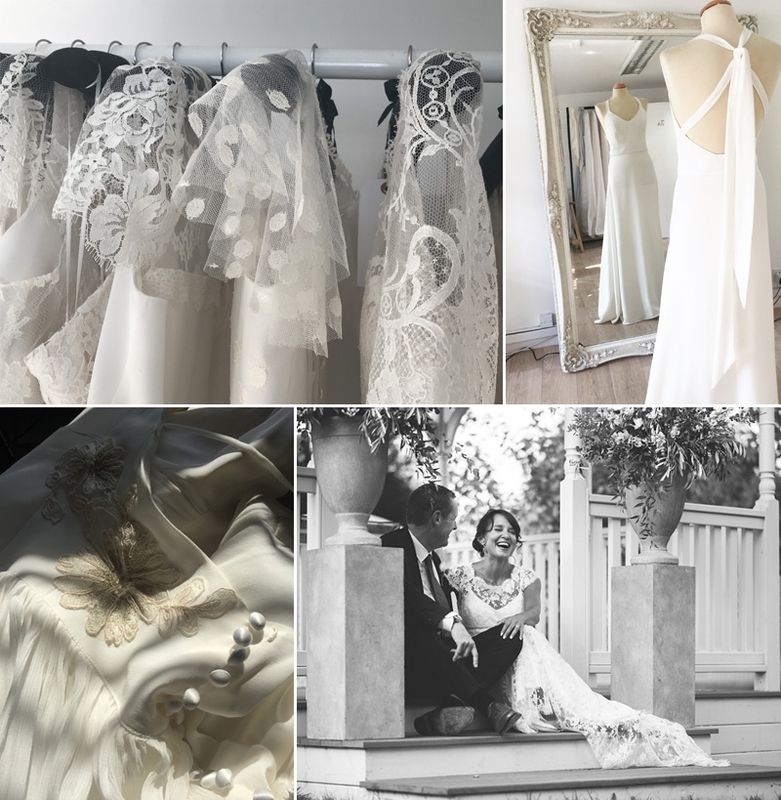 I specialise in Bohemian Wedding Dresses – french laces and floaty ethereal whimsical styles. Gorgeous dresses for brides who are having a boh, relaxed wedding theme. 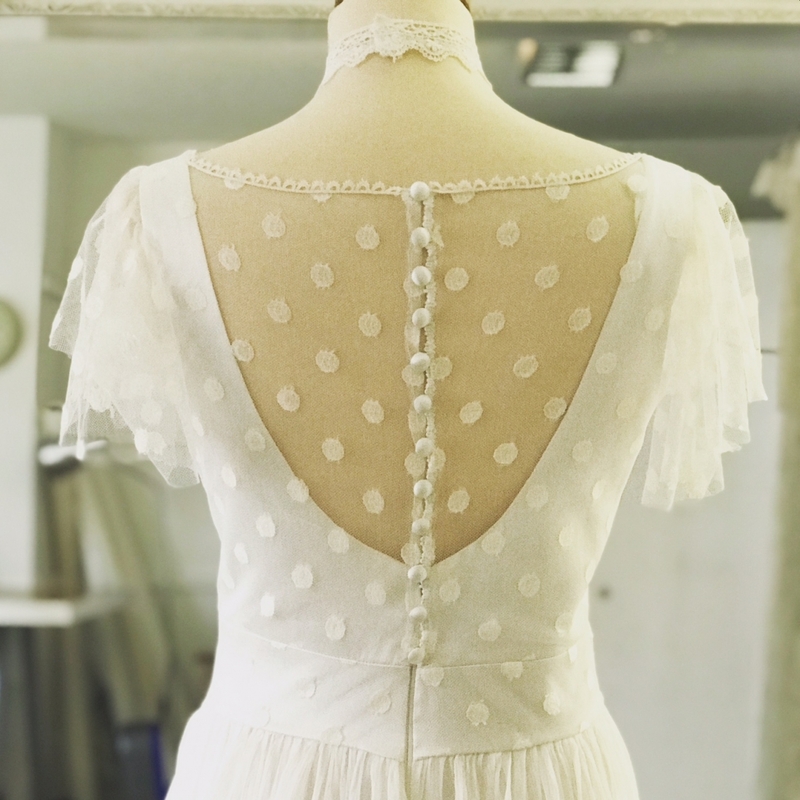 I only use top quality silks and French lace for my designs, keeping the texture and feel of the dress as important as the look. 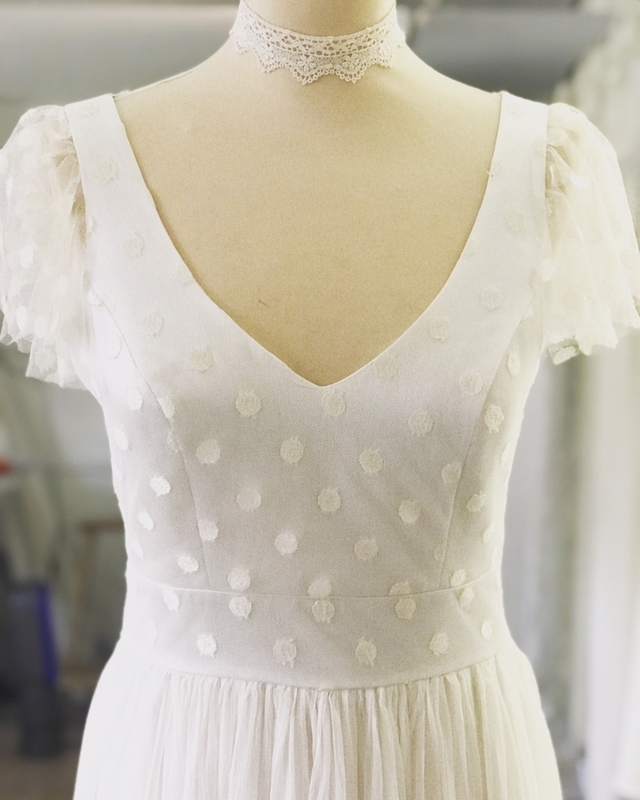 My boho wedding dresses collection is becoming more the focus of what I offer, including lace overlay dresses worn with a separate silk bias underdress. The lace two pieces mentioned allow for a very fluid light flow of the dress. The added benefit being that the underdress can be worn alone if wanted. I have a few semi structured boho style dresses, with soft floaty skirts and slightly more structured bodices. 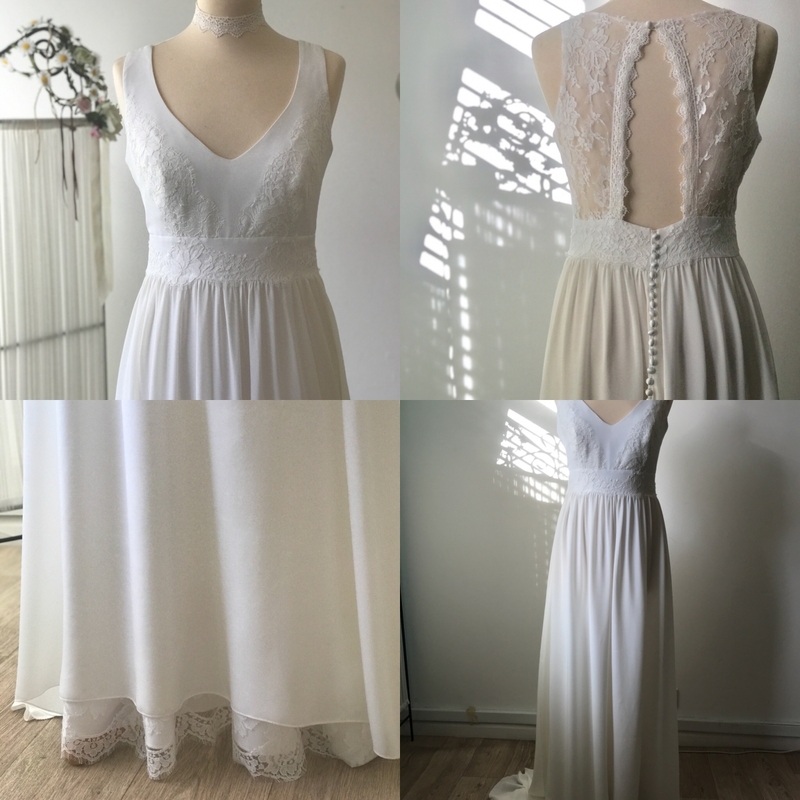 Some of my newest designs are very simple shapes, sensual and light slip like with French lace and silk crepe/satin, silk tulle almost boudoir meets boho. I do design with a realism too, knowing the rigours a wedding dress (and bride) will experience. This does not mean the design can’t be light and comfortable. I have also been working on wedding dresses as separates, interchangeable skirts and bodices. Dropped waist skirts with full floaty or gathered chiffons and silks. These can be worn with a selection of tops and lace jackets. silk/lace layered camisole style tops and or lace bodices. It is such a pleasure to see how well this works. Brides can chose from the separates to build up the look they want. I can and still do offer a full bespoke service where you bring me your wish list/ideas and I design your dream dress. This can be a variation of some of my existing designs or a completely new look. 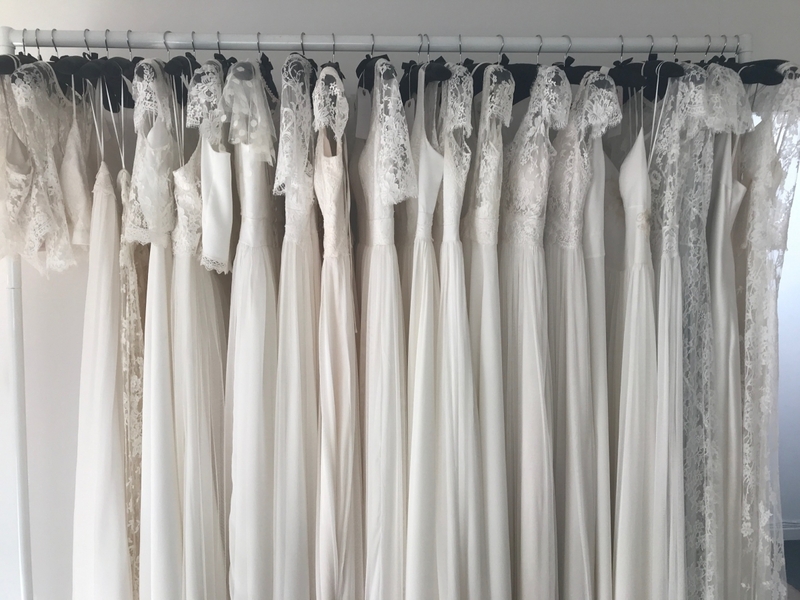 I work from my London studio where you can try on samples from my collection or discuss bespoke options. UK and destination weddings in wild flower meadows, tipis, barns, beach and country gardens even forests are all perfect locations for this relaxed yet still very beautiful and special luxury look. Not limited to outdoorsy events this look neatly translates to the London wedding venue too, be it an architectural hanging garden, a local church or a pub celebration, all of which my past brides have married or had their reception in.